I am happy to see the Lync client for Blackberry. If you’re a Blackberry user, download it today. Etisalat’s Blackberry – Suddenly it’s a privacy issue! Day before yesterday, I wrote about the Blackberry update that caused device batteries to drain out on a UAE telco’s Blackberry subscriber network. A later report in the Gulf News has revealed that the fateful patch, distributed by Etisalat, contained what is called an ‘interceptor’. An interceptor is basically a program that can potentially send a copy of each message on the device back to the service provider – which I would call – a serious privacy issue. …the software was also designed to protect itself from removal. It tracks changes to the system configuration and if it detects any, it uninstalls then reinstalls itself. Apparently the battery drain was caused due the device waiting on an open data connection to send confirmation to Etisalat for the interceptor. Unlike Blackberry devices, Windows Mobile devices are not managed by the service provider or telco. They are managed by the organization that owns/administers the devices, and hence there is a more complete degree of control on what software gets installed on these devices. All communication between the Windows Mobile device and the Exchange servers (email servers hosted within the organization’s premises), happens through a secure, encrypted SSL tunnel between the device and the server over the 3G/GPRS network. The operator only provides simple internet connectivity for the device, and can’t do much to intercept or tamper with email data getting sync’d with the device. Windows Mobile 6.1, coupled with Exchange Server 2007 provided a major improvement in bandwidth utilization. For a heavily active user profile, Windows Mobile 6.1 used only 388 KB per day to synchronize with Exchange Server! A single Exchange 2007 Client Access Server can handle more concurrent connections on similar hardware when compared to Blackberry Enterprise Server (BES). You get a wider choice of applications and devices. Etisalat, a leading telecom provider in the United Arab Emirates, has stopped a “performance enhancing” patch for its Blackberry subscribers after it was discovered that the update caused excessive battery heating and drainage. Subscribers have complained that the battery drains within an hour, after the patch has been installed. News of the patch gone seriously wrong has made it to the front page of Gulf News. Research In Motion (the company that makes the Blackberry) did not respond to the newspaper for a comment. The carrier Etisalat has not confirmed if the fault lies with the carrier or with RIM. I like to visualize the BlackBerry server as a ‘black box’ – only because it is often difficult to figure out where the problem is. Perhaps my ignorance is to blame, or it’s just my love for the simplicity/transparency surrounding the inner workings of ActiveSync. The other day, for instance, I was trying to activate a Blackberry Bold device. The activation kept timing out for no reason. Most of the time when this happens, one of the following usually solves the problem. Do a full restart of the server. But this time it was rather strange. All the above actions were in vain. So I decided to ‘troubleshoot by elimination’. I then deduced that there is nothing wrong with the Black Box .. er.. BlackBerry server, the device or the SIM card. "It must be something on the mailbox", I thought. But what exactly? A quick call to our service provider, and a long wait for someone to get back to me revealed to me what I was missing — the user’s junk mail filter! 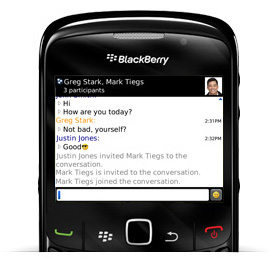 Blackberry activation involves sending an email to the user’s inbox, which would contain some kind of a hash. The user’s junk mail filter mistakenly thought that the emails from blackberry were spam and sent it to the user’s Junk Mail folder in Outlook, before the blackberry server could pick it up (from the Inbox folder) and activate the device! After I moved Blackberry-enabled mailboxes over from Exchange 2003 to Exchange 2007, there were no major problems as far as Blackberry was concerned – except that calendar items created on the blackberry devices did not get synchronized with Exchange/Outlook. The primary reason for the problem is that Blackberry uses public folders to sync calendar items – and Exchange Server 2007 by default has no public folders! 1 – Create a Public Folder database on the Exchange Server that has the mailbox server role installed. 2 – Link the Exchange Server 2007 mailbox database to the Public folder database you just created. To do this, open the properties of the mailbox database containing the blackberry user mailboxes and select the new public folder store in the Client Settings tab. The Indian Department of Telecommunications (DoT) had announced that it will terminate the Blackberry services in India over concerns of security, since the Indian government cannot monitor the Blackberry servers as they are located in Canada. Indian mobile operators that offer BlackBerry services, top executives of the Canadian telco Research in Motion (RIM) (the company that owns the “Blackberry” brand), security agencies and officials of the DoT are meeting on March 14 to discuss the concerns of security agencies in order to prevent having BlackBerry services terminated after the March-end deadline. 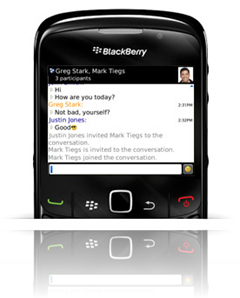 BlackBerry is famous for its push-mail services that deliver mails as and when it receives, and has over 12 million customers across the world. It is estimated that Blackberry has around 400,000 corporate customers in India. Google and Yahoo declined to comment on the issue and Microsoft India said the issue was not of immediate concern to them. I believe in a country like India where mobile internet services is inexpensive, it may be worthwhile to use Exchange Activesync push-mail services which can be hosted by the organization’s Exchange Server itself. The government announced that it is not seeking to ban mobile operators from offering Blackberry services in discussions over security concerns. However cellular operators where asked to reason with RIM to work on a possibility of legally intercepting the data. No more blackberries for breakfast! For the past 3 years I’ve been using a Windows Mobile powered device and have actually surrounded my life around it. I’ve had good times with it (and bad ones too, with the regular restarts). Until now. Yes, the organization I joined runs Blackberry. During my consulting days, I have always attacked (or, tried to attack) Blackberry and have always positioned Windows Mobile and Activesync to all my clients. So here I am, exiling my Windows Mobile to the back of the drawer for a Nokia E61 that runs the Blackberry app and has no stylus/touch-screen. Its frustrating each time I feel the urge to poke at the screen with my finger to control the device, but in vain. I guess I’ll learn to live with it some day.